Spain’s finest dancers and musicians return to New York City Center for a celebration of flamenco that is stirringly authentic while challenging the conventions of the form. The 2018 Flamenco Festival line-up includes performances by Ballet Nacional de España, Compañía Eva Yerbabuena, and Ballet Flamenco Jesús Carmona. Ballet Nacional de España returns (March 2 – 4) for the first time in nearly 20 years with a new work, Suite Sevilla, choreographed by Director Antonio Najarro. While the company has evolved to integrate bold trends in music and dance into its repertory, they continue to preserve traditional styles including Escuela Bolera, flamenco, and stylized Spanish dance, all of which are showcased in this evening-length piece. Rafael Riqueni’s score, performed by live singers and guitarists, combines with the Ballet’s impressive ensemble to evoke a primal longing for the traditions of southern Spain. During the second week of the festival, flamenco superstar Eva Yerbabuena makes a welcome return (Mar 9 & 10) accompanied by five dancers and the ensemble of musicians that comprise Compañía Eva Yerbabuena. “A visionary, magisterial dancer, whose effects go far beyond technique” (The Guardian, UK), Yerbabuena presents her new show, Carne y Hueso (Flesh and Bone), a striking tour-de-force performance, as a prologue to the 20th anniversary of her company. For Ímpetus (“bursting with energy”) (Mar 11), the Barcelona-born Jesús Carmona, a former dancer with Ballet Nacional de España, draws on the zapateado (percussive footwork) of traditional flamenco to create a work about the boundless energy that drives artists to realize their dreams. Performed by the eleven dancers, musicians, and singers of Ballet Flamenco Jesús Carmona, Ímpetus is set to the music of Spain’s most beloved composers—Albéniz, Riqueni, and Escudero. An excerpt from this evening-length work was presented by Carmona as part of the 2015 Fall for Dance Festival. In addition to his performance on the mainstage, Jesús Carmona will join NYCB principal dancer Joaquin De Luz and dancer/actor David Neumann in a unique five-day artistic residency at City Center (Mar 4 – 9) which examines stillness as a choreographic concept and expressive force in dance. This cross-disciplinary investigation culminates in a performance and conversation with the artists, Exploring Stillness, on Friday, March 9 at 6pm in City Center’s Studio 5 (130 W 56th St). Pre-show dance lessons, free for same-day ticket holders, will be held in the Grand Tier Lobby prior to select performances (Fri, Mar 9 at 7pm; Sat, Mar 10 at 7pm; and Sun Mar 11 at 6pm). 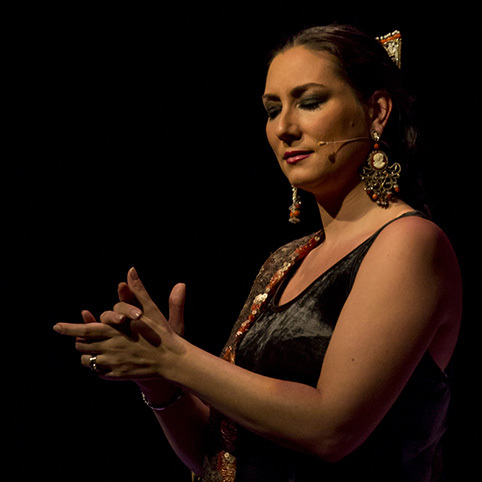 Open to all levels of experience, flamenco lessons will be led by Xianix Barrera, City Center teaching artist and flamenco performer. A pre-show talk with Ballet Nacional de España Director Antonio Najarro, free for same-day ticket holders, will be held in the Shuman Lounge on Saturday, March 3 at 6:30pm. 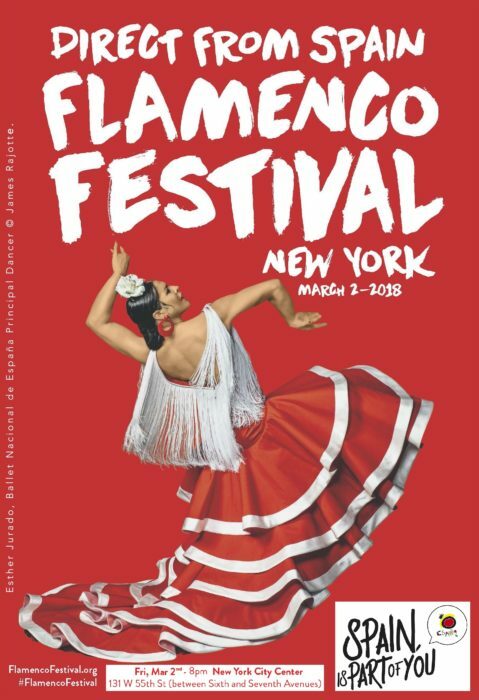 Tickets for Flamenco Festival start at $35 ($15 for Exploring Stillness) and can be purchased online at NYCityCenter.org, by calling 212.581.1212, or in person at the City Center Box Office. New York City Center is located at 131 W 55th St between Sixth and Seventh avenues. For information on other flamenco events around the City visit FlamencoFestival.org.